Let your style speak to your grace as you wear the Kate Spade New York® Floral Lace Ruffle Dress. Lace scalloped, mock neck, shift dress. Invisible, back zip closure with tie neck detail. Shell: 56% polyamide, 44% cotton. 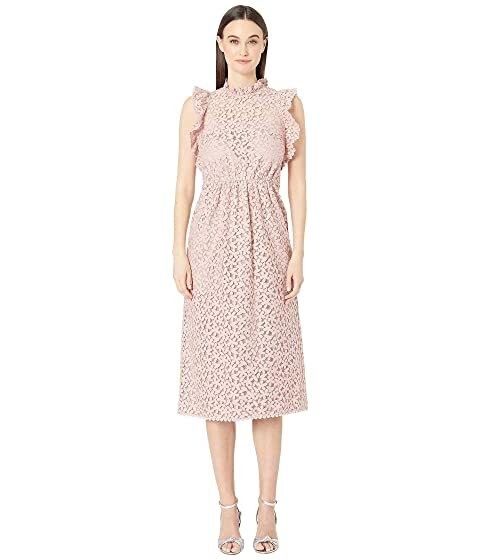 We can't currently find any similar items for the Floral Lace Ruffle Dress by Kate Spade New York. Sorry!